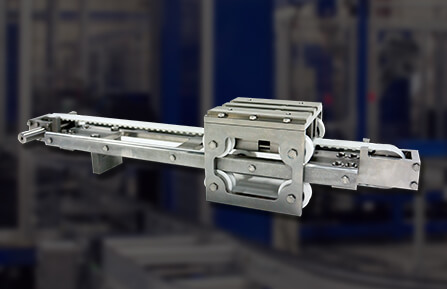 Macron Dynamics, Inc., a manufacturer of linear and mechanical motion components and systems, provides automation solutions for applications found throughout the U.S. and around the globe. For over 30 years, Macron has refined each component and every product through time-tested installations and experience. Macron products are built with the highest quality materials, assembled in the USA, and engineered to withstand the abuses of rigorous, daily usage. The result is a combination of versatility, positioning repeatability durability, and virtually maintenance-free operation. 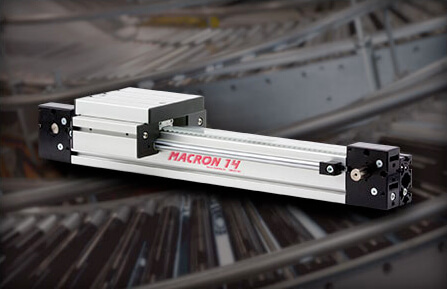 The trademarks of a Macron automation system include long travel capabilities, smooth, fast and repeatable belt driven motion, extremely high quality, and ease of customization to meet specifications for most any application. Macron Dynamics was founded in 1988 by current CEO and president Anthony Cirone to bring the benefits of lightweight aluminum structural framing components and profile extrusions to machine builders. 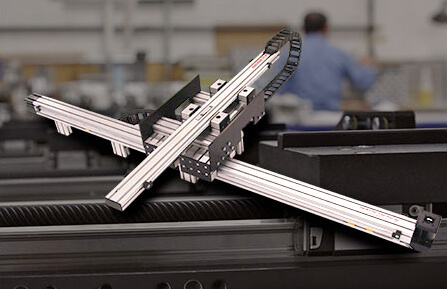 Macron quickly realized the benefit of these components when integrated into linear motion products and automation systems. Through innovation, engineering, and experience with a diverse range of applications, Macron developed a product line of single and multi-axis mechanical motion solutions. Through its 30-year history, Macron Dynamics has sought to constantly innovate and help customers solve unique challenges by delivering the highest quality motion control systems. Join us in celebrating several key milestones in the company’s history. Never resting, Macron continues to engineer new products and product improvements, while solving the challenges of each customer’s unique application. As Macron continues to grow and provide innovative new solutions and products, the company remains private, profitable and managed by the ownership team. Tony is the founder and original designer of the Macron Dynamics product line. Tony’s career in the automation industry and experience with product design and application engineering spans more than 40 years, with over 30 years forming Macron into an innovative automation solutions company. Designs by Tony can be found across the continent from factory floor to test system walls to all the Florida theme parks and even the bottom of the sea. Craig is an experienced business manager and wears many of the hats needed to run the day to day operations of Macron Dynamics. Craig joined Macron fresh from a 23 year run as EVP and General Manager of Jade Corporation, a leading automation systems and precision machining design/build company. Michael is an experienced Sales Manager and Mechanical Engineer with 15 years of experience in the automation industry. Michael is an expert in the process controls and industrial automation industry, and joined Macron after many years as a Regional Sales Manager for Exlar Corporation and Stober Drives, Inc.